TEHRAN, Iran (AP) — Thousands of Iranians attended a massive funeral for 135 soldiers on Thursday, 30 years after the end of the 1980s war between Iran and Iraq. Trucks carried the caskets draped in the Iranian flag in the capital Tehran. They were encircled by mourners including women shrouded in black Islamic robes, many of them weeping as a brass band played for the procession. State TV reported that only 17 bodies have been identified. The farewell began Wednesday evening outside a war museum in northern Tehran, where mourners gathered to say goodbye to the soldiers. “This is a chance for me to feel that I am still in the same trench with my comrades,” said 63-year-old war veteran Ahad Ebrahimi. The remains belong to soldiers killed in three different operations in southwest Iran between 1984 and 1986. They include the cutting off of Iraq’s access to the Persian Gulf and the 1986 collapse of the strategic city of al-Faw in the Basra governorate in southern Iraq. 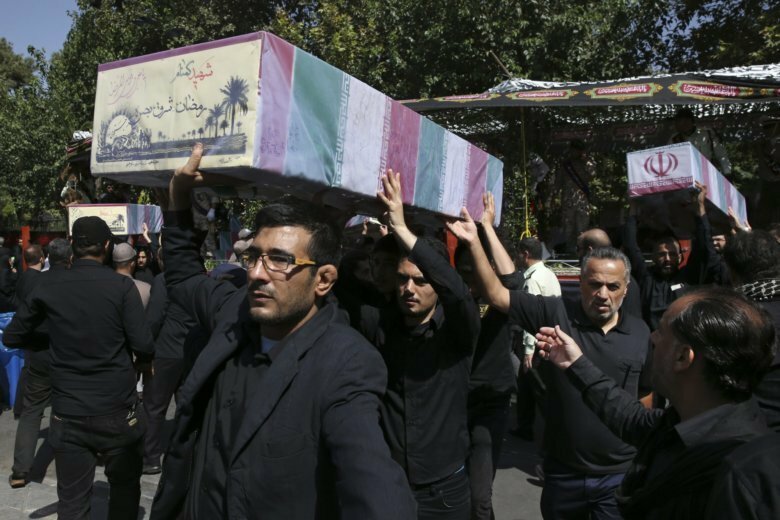 The funeral came a week after protesters in the city of Basra stormed the Iranian consulate and torched government buildings while blaming Iran’s influence on Iraq’s political affairs for failing services, despite current close relations between the countries. Iran and Iraq occasionally exchange the remains of soldiers from the 1980-1988 war. In July, Iraq returned 76 bodies to Iran a month after Iran returned the bodies of 128 Iraqi soldiers, all killed in the war.